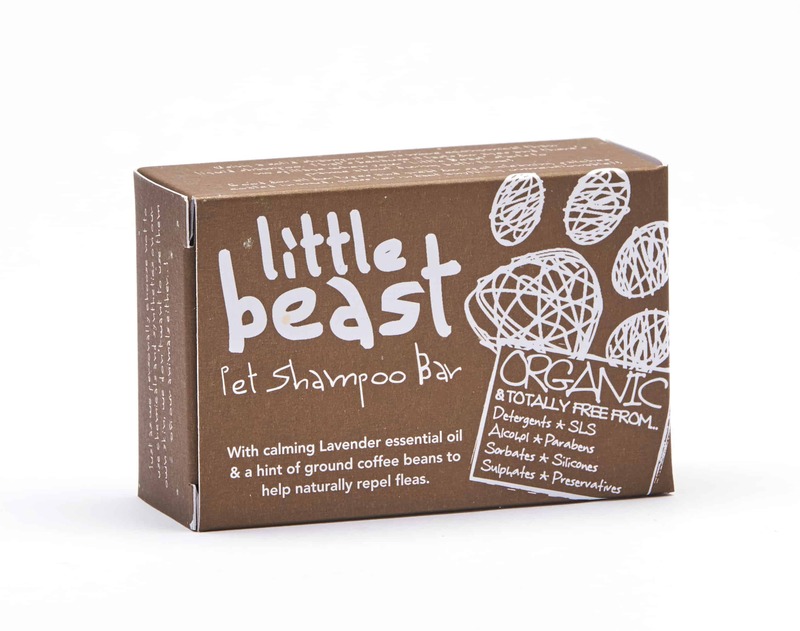 Our pet shampoo bar has calming Lavender Essential Oil, moisturising Apricot Oil and a hint of ground coffee beans to help naturally repel fleas. One advantage of our Little Beast Bar is no spills so great for car boot and travelling, together with being practical, having less packaging, no wastage and long lasting. 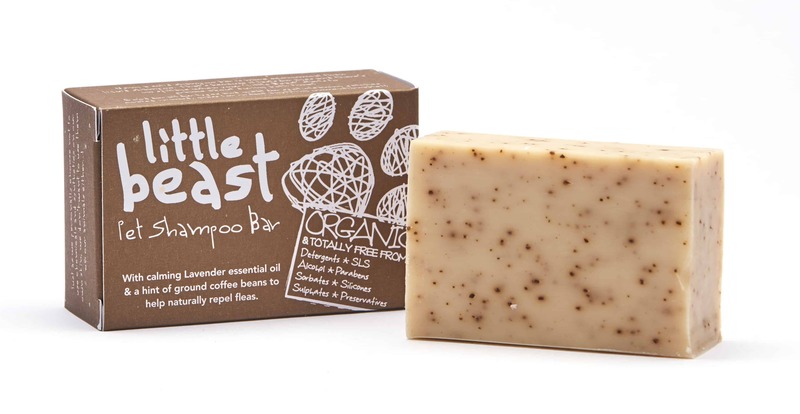 Little Beast Bar was rated 10/10 by Dogs Monthly Magazine and can be used all over (avoiding the eyes) on all coat types or use just to use to rinse muddy paws or dirty patches…or on anything more unmentionable! 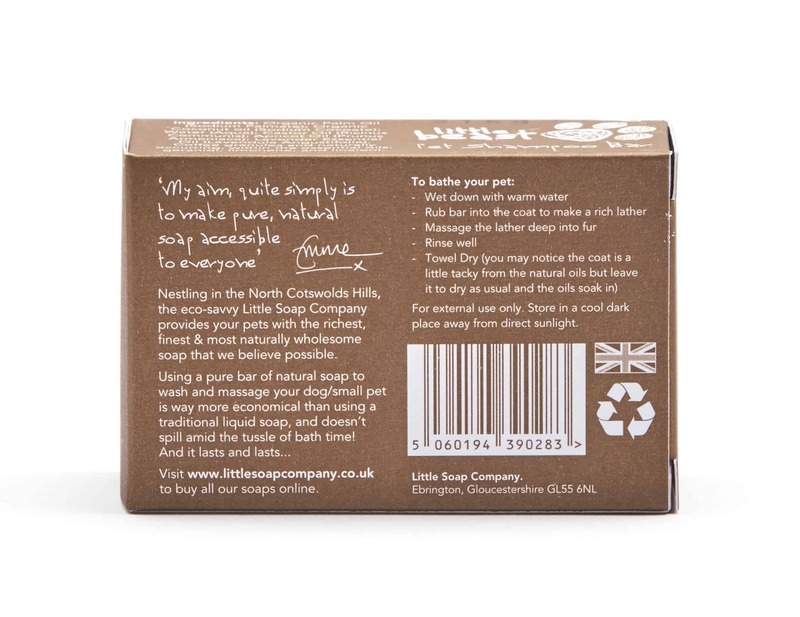 Directions: Rinse your pet with warm water and rub the bar into the coat to make a rich, silky lather. Massage in. Rinse well, towel dry.  You may notice the coat looks slightly tacky as it dries – this is totally normal and is just the natural oils which will be absorbed (rather than a synthetic shampoo product which tends to strip the hair) – it will dry normally and leave you with a now lovely smelling Little Beast!! 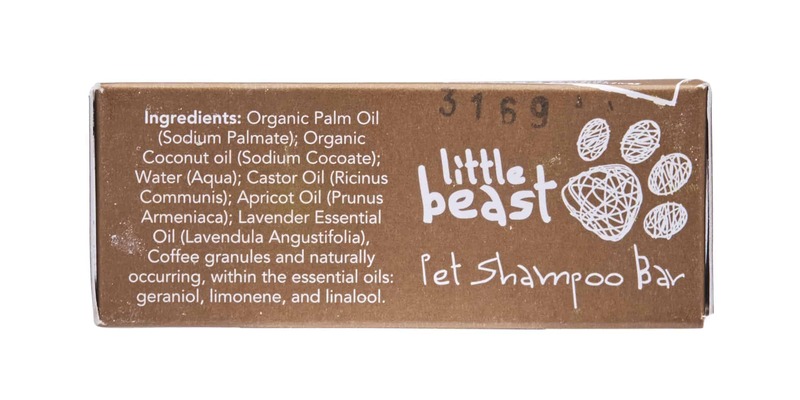 Ingredients: Organic Palm Oil (Sodium Palmate), Organic Coconut Oil (Sodium Cocoate), Water (Aqua), Castor Oil (Ricinus Communis), Apricot Oil (Prunus Armeniaca), Lavender Essential Oil (Lavendula Angustifolia), Coffee Granules and naturally occurring within the essential oils: geraniol, limonene and linalool. I washed all 3 dogs yesterday. Their coats are really lovely and again very, very soft.